Follow the Safety Activity Checkpoints. Instructions for staying safe while participating in activities are detailed in the Safety Activity Checkpoints, available from Troop Support . Read the checkpoints, follow them, and share them with other volunteers, parents and girls before engaging in activities with girls. Girls plan the activity. Keeping their grade-level abilities in mind, encourage girls to take proactive leadership roles in organizing details of the activity. Arrange for proper adult supervision of girls. Your group must have at least two unrelated, approved adult volunteers present at all times, plus additional adult volunteers as necessary (this is dependent upon the size of the group and the ages and abilities of girls). Adult volunteers must be at least 18 years old (or the age of majority defined by your state, if it is older than 18), and must be screened by your council before volunteering. One lead volunteer in every group must be female. Get parent/guardian permission. When an activity takes place that is outside the normal time and place, advise each parent/guardian of the details of the activity and obtain permission for girls to participate. Communicate with council and parents. Follow council procedures for activity approval, certificates of insurance, and council guidelines about girls’ general health examinations. Make arrangements in advance for all transportation and confirm plans before departure. Be prepared for emergencies and compile key contacts. Work with girls and other adult volunteers to establish and practice procedures for emergencies related to weather, fire, lost girls/adults and site security. Give an itinerary to a contact person at home; call the contact person upon departure and return. Create a list of girls’ parents/guardian contact information, telephone numbers for emergency services and police, and council contacts—keep on hand or post in an easily accessible location. Always keep handy a well-stocked first aid kit, girl health histories and contact information for girls’ families. Check activity-specific Safety Activity Checkpoints to determine the type of first aid aider needed. Get a weather report. On the morning of the activity, check weather.com or other reliable weather sources to determine if conditions are appropriate. If severe weather conditions prevent the activity, be prepared with a backup plan or alternate activity, and/or postpone the activity. Write, review, and practice evacuation and emergency plans for severe weather with girls. In the event of a storm, take shelter away from tall objects (including trees, buildings, and electrical poles). Find the lowest point in an open flat area. Squat low to the ground on the balls of the feet, and place hands on knees with head between them. Use the buddy system. Using the buddy system, girls are divided into teams of two. Each girl is responsible for staying with her buddy at all times, warning her buddy of danger, giving her buddy immediate assistance if safe to do so, and seeking help when the situation warrants it. Girls are encouraged to stay near the group or buddy with another team of two, so in the event someone is injured, one person cares for the patient while two others seek help. Report abuse. Sexual advances, improper touching and sexual activity of any kind with girl members, as well as physical, verbal and emotional abuse of girls is strictly forbidden. Follow your council’s guidelines for reporting concerns about abuse or neglect that may be occurring inside or outside of Girl Scouting. Travel safely. When transporting girls to planned Girl Scout field trips and other activities that are outside the normal time and place, every driver must be an approved adult volunteer, age 21 or over and have a good driving record, a valid license and a registered/insured vehicle. Insist that everyone is in a legal seat and wears her seat belt at all times, and adhere to state laws regarding booster seats and requirements for children in rear seats. Ensure safe overnight outings. Prepare girls to be away from home by involving them in planning, so they know what to expect. Avoid having men sleep in the same space as girls and women. During family or parent-daughter overnights, one family unit may sleep in the same sleeping quarters in program areas. When parents are staffing events, daughters should remain in quarters with other girls rather than in staff areas. Males will have separate, designated bathroom facilities or designated bathroom times. Role-model the right behavior. Never use illegal drugs. Don’t consume alcohol, smoke, or use foul language in the presence of girls. Do not carry ammunition or firearms in the presence of girls, unless given special permission by your council for group marksmanship activities. Create an emotionally safe space. Volunteers are responsible for making Girl Scouting a place where girls are as safe emotionally as they are physically. Protect the emotional safety of girls by creating a team agreement and coaching girls to honor it. Agreements typically encourage behaviors like respecting a diversity of feelings and opinions; resolving conflicts constructively; and avoiding physical and verbal bullying, clique behavior and discrimination. Ensure that no girl is treated differently. Girl Scouts welcomes all members, regardless of race, ethnicity, background, disability, family structure, religious beliefs and socioeconomic status. When scheduling, planning and carrying out activities, carefully consider the needs of all girls involved, including school schedules, family needs, financial constraints, religious holidays and the accessibility of appropriate transportation and meeting places. Promote online safety. Instruct girls never to put their full names or contact information online, engage in virtual conversation with strangers, or arrange in-person meetings with online contacts. On group websites, publish girls’ first names only and never divulge their contact information. Teach girls the Girl Scout Internet Safety Pledge and have them commit to it. Keep girls safe during money-earning activities. Girl Scout cookies and other council-sponsored product sales are an integral part of the program. During Girl Scout product sales, you are responsible for the safety of girls, money and products. In addition, a wide variety of organizations, causes and fundraisers may appeal to Girl Scouts to be their labor force. 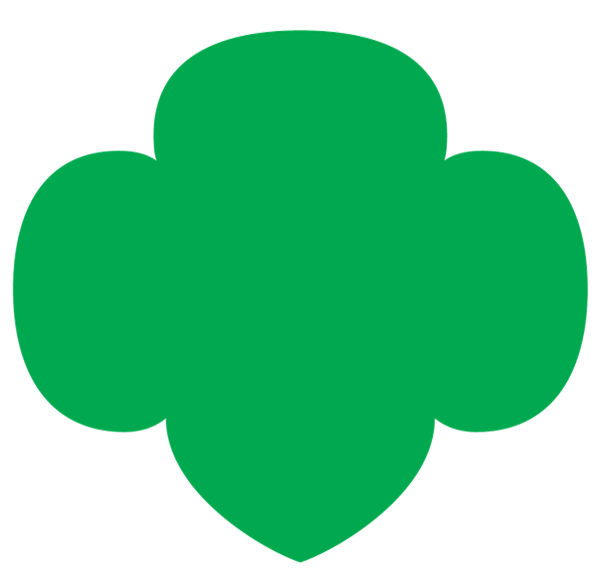 When representing Girl Scouts, girls cannot participate in money-earning activities that represent partisan politics or are not Girl Scout–approved product sales and efforts.